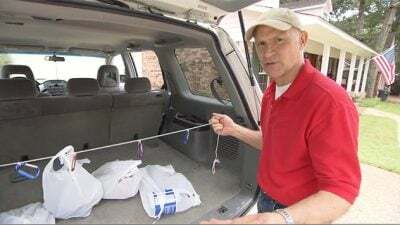 Here’s a tip for keeping groceries from spilling all over the trunk. Tie carabiners to a rope and stretch it across the trunk. Clip the grocery bags to the carabiners. I love your show. It shows great tips on getting hard jobs done. Also I love the seasonal to do list. The show is quite entertaining. I wish it was on more often. I get up early on my off day to watch it, plus I record it. I told I love your show.